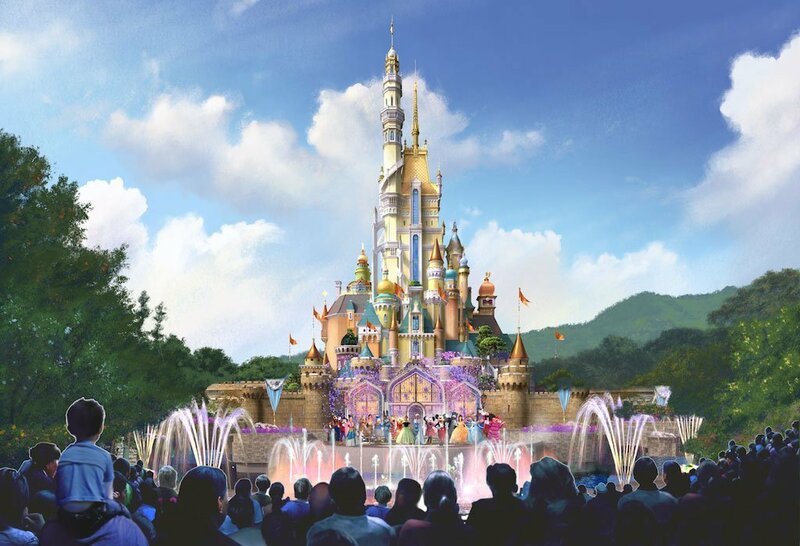 As you may have heard, Hong Kong Disneyland is currently undergoing another major expansion that will bring some additional Frozen, Marvel, and more to the park. However, one of the most immediately noticeable changes will be the upgraded castle, currently known as Sleeping Beauty Castle (it’s unclear if the finished product will take on another name). 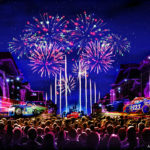 Today, the Disney Parks Blog shared a new piece of concept art for the new castle. 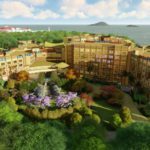 Like its mainland rival Shanghai Disneyland’s castle, this new structure will take inspiration from a variety of storybooks and designs. Some details to be added to the castle spires include Snow White’s apple, Cinderella’s coach, and Belle’s rose (you can see why that Sleeping Beauty moniker may not be long for this world). The castle will also be home to a new daytime show and nighttime spectacular. Work on the castle overhaul is set to begin after the “Disney in the Stars” fireworks on the first of next year.